Below is the 2015 Pushcart Prize Ranking of Literary Magazines for FICTION. For information about my annual magazine rankings and my methodology, go here. Go here for POETRY and NONFICTION rankings. Clifford – Thanks for the great work on the list. As always, Clifford, thanks for doing this! Thank you. This list is invaluable. This list means nothing until PULP MODERN is on it. Easy enough to solve that problem. Tell them to publish something worthy of a Pushchart Prize or a Special Mention. That’s how you get on the list. “The Rembrandt Heist,” a beautiful story from issue seven of Pulp Modern, was nominated for a Pushcart this last year. Right, every journal nominates stories for the Pushcart. This is a list of which journals that the Pushcart Prize recognizes. Didn’t Open City close up shop in 2011? I was not aware of that, but it does appear that the last issue of the magazine was December 2010. I’ll mark it accordingly on the list. Terrific, thank you very much. Just wondering why The New Yorker wasn’t mentioned? 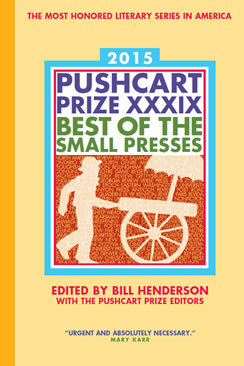 The “slicks”–Harper’s, New Yorker, Atlantic, etc.–aren’t included in the Pushcart Prize anthology, which considers only “small presses,” and so do not appear on my list, because the Pushcart Prize and special mentions are the only criteria I use for the list. Thanks, Cliff. Again, kudos for your effort. Best Wishes. Is it just me or is this list currently not showing up? I tried several times this morning and I’m not seeing the list. It’s such a great resource too!!! Hmm. I updated WordPress this morning and the list seems to be buried in “more” . . . Thanks for alerting me to the problem. I’ll look into it. This list is so helpful! I was bummed to find it out of commission today. If you could repair it, Cliff, I think many of us would be eternally grateful! I’m working on it, but I don’t even know what happened. All of my posts are affected in the same way. Maybe post screenshots in the meantime? Thank you so much for compiling!